I am looking for an instructor to help me learn more of what I know. I have taken private and group lessons with Ureka Nogales for three years and have learned the basics of most dances. I am 29 years old and wanted to get better at dancing. 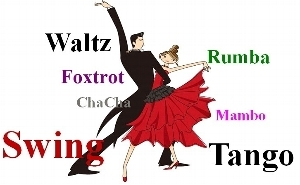 My favorite dance is west coast swing and would like that to be a main dance to learn. I am looking for any kind of dance classes for a form of exercise and to broaden my horizons. Im looking for classes as part of a group but does not require a partner. I would like the lesson to be once to twice a week within the these time ranges 8:30 to 10:30 am. I wanted to start as soon as possible. Looking for ballroom dance lessons for my 12 year old daughter. we are a 50 year old couple, enjoy dancing, want to learn to dance. evening classes, 1-2 x per week.